Just don’t try to skateboard in them. Love your Chucks so much you want to wear them in the house? Then wiggle into these slippers from Elena Milanova, which are handcrafted to resemble high-top Converse sneakers. Milanova, who hails from the Chuck Taylor capital of the world—er, Gorna Oryahovitsa, Bulgaria—writes that she knits and crochets these ersatz kicks “naturally, with love and warmth” for any size of man, woman, even baby. 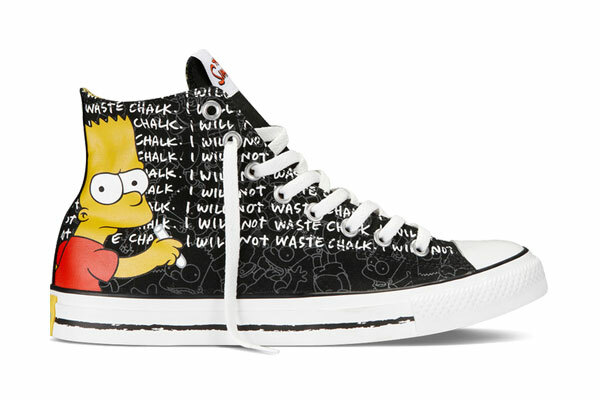 They come in gray, blue, pink, or orange, though if you slip Milanova a few extra bucks, maybe she’ll make black Bart Simpson limited-edition ones, too. The production time for a set is one to two weeks, and shipping to the U.S. usually takes 10 to 21 days (note: it could be longer due to customs or foul weather). They’re meant to be worn as slippers; however, comedians might use them as socks just to see the reactions when they remove their Converse only to have another pair appear. Slippers, $17-35 plus shipping, at Etsy.